Countdown to Christmas! 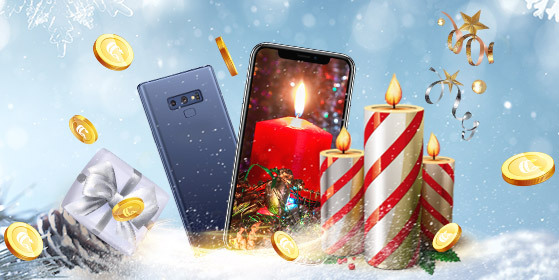 On the Advent Sundays before Christmas your players get not just one, but three chances at winning a brand new iPhone XS or Samsung Galaxy Note 9! On the 9th, 16th & 23rd of December respectively, players receive one Advent candle for every 100 € wager. The players with the highest number of candles will participate in a raffle to see who gets the valuable prize! CasinoClub is giving away a total of three smartphones.